If you’re sick of feeling run-down…rotten…lousy…tired…and generally miserable – you’ve come to the right place. Please read on for important information on how to fix what’s wrong so you can feel normal again. Or perhaps you’ve heard, “You just need a vacation.” Statements like this can be frustrating for sure. problems seriously or perhaps they’re only offering you ‘band-aid’ solutions. ‘make you feel better’ – even if it’s only on the surface. problem and then fix it – so you can feel normal again. you are at the right place and I’m glad you are here! 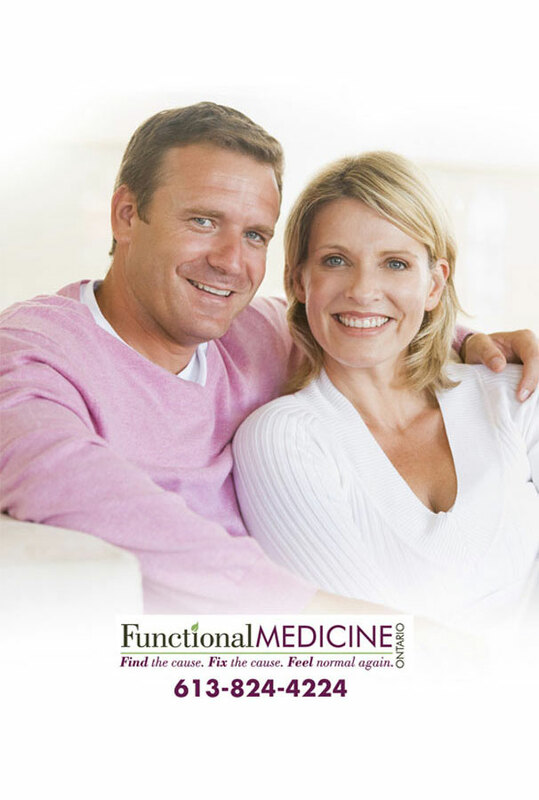 Functional Medicine may have the answers you’ve been searching for! Functional Medicine is about finding and fixing the underlying root cause of your symptoms, so you feel normal again! Functional Medicine is a new and emerging field of healthcare. It’s a sub-specialty within the much broader field of Natural Medicine. Pinpoint the root, underlying cause of your symptoms. Work with you as a team to fix it. Use treatments that are natural, safe, and proven effective. Help you feel normal again. Get your health and energy back. And become able to enjoy your life to the fullest. Functional Medicine is NOT Band Aid Medicine. Functional Medicine just makes sense – it changed my life…and I know it can change yours, too! WE find the cause.WE fix the cause. So YOU feel normal again! Everything in your body is connected. Functional Medicine doctors understand this – we tend to think “outside the box,” not only in how we diagnose you, but also in how we treat you. With Functional Medicine we look at your WHOLE body because everything in your body is connected. We want to hear about everything that’s going on with your health—all your complaints, all at once—so we can piece those connections together, and help find the answers to your health problem. “One-Size-Fits-All” doesn’t work well with T-shirts and it certainly doesn’t work when it comes to your healthcare! Everyone is unique – you should always get a personalized approach to care. Your first visit is where the detective work starts. A thorough history will often reveal the clues needed to crack your case wide open. We’ll look over previous your tests and run any specialized tests to find the underlying cause of your symptoms. Next, your treatment plan is put together—an actual plan designed specifically for YOU. 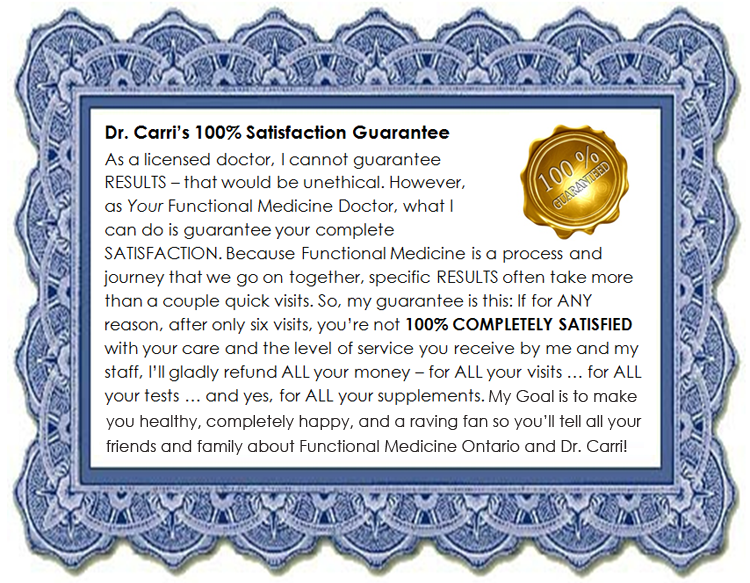 Is Functional Medicine Ontario Right for You? Candidly, Functional Medicine is not right for everyone. Some patients simply prefer their doctor call in a prescription for ‘make-me-feel-better-now’ pills, and don’t mind waiting one or two hours for a three-minute appointment just to be handed another prescription because the ‘make-me-feel-better-now’ pills are giving them side-effects and even more health problems. Some patients don’t actually want to get better because they like talking about their health problems – they secretly enjoy getting the extra attention from others. And some patients just don’t want to take responsibility for their health and prefer their fast-food lifestyle where the only exercise they get is walking to and from the bathroom. Frankly, we do not offer band-aid care or band-aid solutions like most offices do…so if that’s what you’re actually looking for then our office is NOT the right one for you. Also, if you do not consider your health a priority…if you do not want to really improve your health for the long-term…if you’re not ready to do whatever it takes to get your health back and feel normal again…then we may NOT be the right office for you. Then Functional Medicine, and Functional Medicine Ontario, may be right for you. My name is Dr. Carri Drzyzga (pronounced “DRIZ-ga” – it’s Polish), but everyone simply calls me Dr. Carri! I’m best known internationally as ‘The Functional Medicine Doc’ – the go-to expert on finding the root causes of health problems so you can feel normal again. 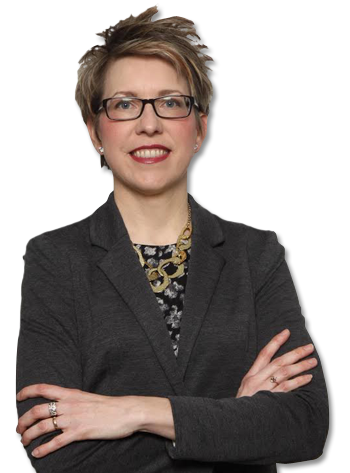 I’ve been in private practice since 1996, and am founder of Functional Medicine Ontario in Ottawa, Ontario, and I treat men and women – helping them feel normal again! 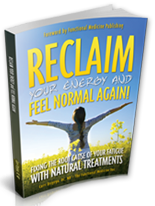 I have two doctoral degrees — Chiropractic and Naturopathic Medicine – and I’m the author of the hit book Reclaim Your Energy and Feel Normal Again! 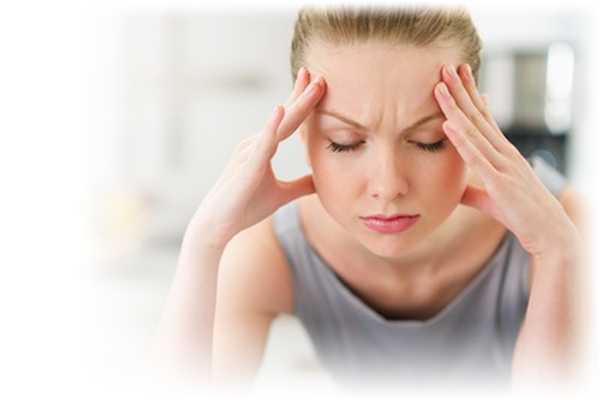 Fixing the Root Cause of Your Fatigue with Natural Treatments. I’ve also been trained in Functional Medicine, Acupuncture, The Kalish Method, and I’m a Certified Gluten Practitioner. Always an avid learner, I’ve obtained a level of expertise in my profession that no other doctor in Canada has achieved to date. 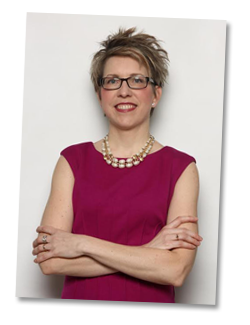 You may have already heard me speak – I’ve been a featured guest expert on multiple podcasts and have been interviewed on such topics as natural treatments for fatigue, hormonal imbalances, chronic pain, and digestive problems. I’ve been married for over eighteen years to my husband Benoȋt, who is also a doctor. Our ‘children’ are two rescued Basset hounds, Bailey and Sammi, who couldn’t be doctors because of their lack of opposable thumbs and propensity for slobbering on patients. First, we do not accept everyone as patients. 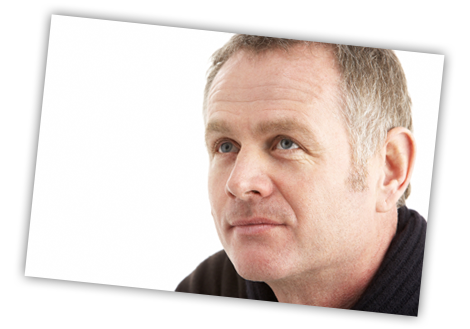 We prefer to work with patients that we believe we can truly help. To help make sure it’s a good fit for both of us you will go through a New Patient Application process – we will look over your health history and any testing you’ve had performed first to see if our office really is right for you. Because you do not want to work with a doctor that accepts every patient regardless of what’s wrong, and we only want to work with patients who we’re sure that we can help. We have built such a great reputation by working with patients that we know can truly help. I personally review every application. If I’m not the right doctor for you, my staff will let you know ASAP and I’ll try to match you up with a doctor that’s most appropriate for your case. In a perfect world your insurance would cover everything, right? The truth is insurance coverage is minimal at best and is only there to get you started. Most insurance only covers your first one or two visits with a Functional Medicine doctor. That’s it. Frankly, the rest will be up to you. Your health is YOUR responsibility…NOT your insurance company’s responsibility. Or how much treatment you really need to get better. And, many patients don’t have any insurance coverage. So, even if you have some coverage for naturopathic care…chiropractic care…even acupuncture…it’s better than none at all. Just accept that in order to get great healthcare you’ll have to pay for it from your own pocket. The faster you just accept that fact, the faster you will be on the road to better health. Give yourself permission to take back control of your health. Invest in yourself. Invest in your health. You more than deserve it! Obviously, we cannot guarantee results or promise we’ll cure you, no doctor ever should – that’s totally unethical and just plain wrong. You get the point. Being healthy takes hard work, time and patience. Being healthy is a choice, not a given. In order for you to get the best results, you have to hold up your end of the bargain. Now, having said all that, here’s our Satisfaction Guarantee. Why? Because we want to be sure that we’ve done our very best to get you back on the path to health. If you’re ready to decide that feeling run-down…rotten…lousy…tired…and generally miserable is no longer an acceptable option; If you want to finally get to the root, underlying cause of your health problems; If you’re ready to get your health and energy back so you can enjoy your life to the fullest, then I encourage you to apply today to become part of Functional Medicine Ontario! Whatever you decide I sincerely hope that I’ve given you something new to think about. Band-aid solutions are no longer the answer. I believe that Functional Medicine is not only revolutionary and here to stay, but I also believe it will be the new standard that all areas of healthcare will model. I would be honored if you’d like to work with us. To apply to become a patient just click the button above. Whatever you decide I thank you for visiting my website. PS #1 – I know I’ve already given you a lot to think about and you may still have additional questions. I do have a Frequently Asked Questions section. PS #2 – If you’d like to learn more about working more with me and my practice and see if it’s a good fit, for both of us, please click here to begin the application process. PS #3 – I’ve written four amazing reports on various aspects of Functional Medicine and just for reading this far on my website I’d like to give you a free copy of them all! To get instant access to these reports simply click here.